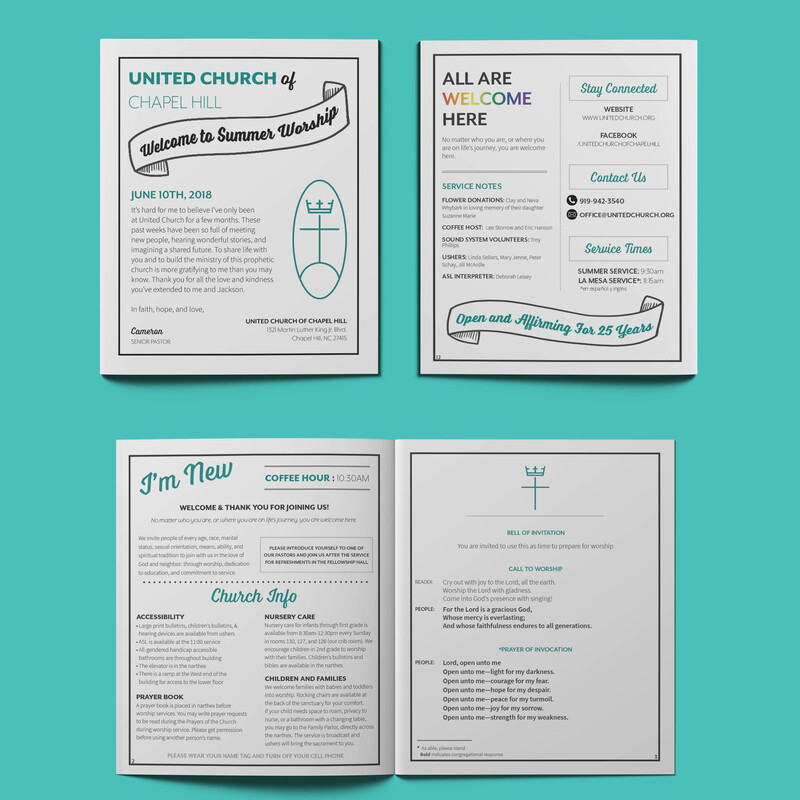 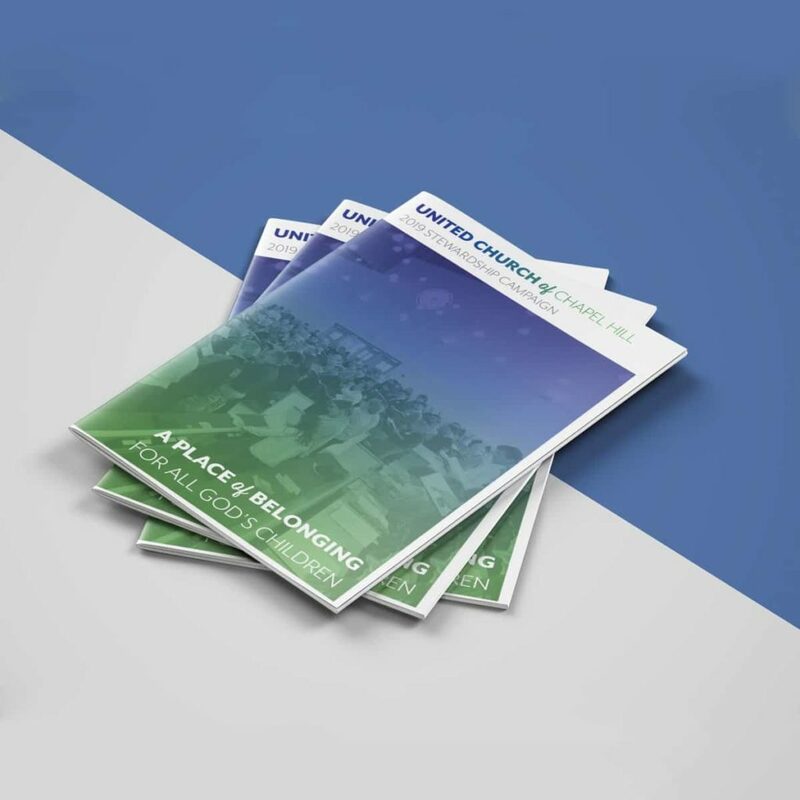 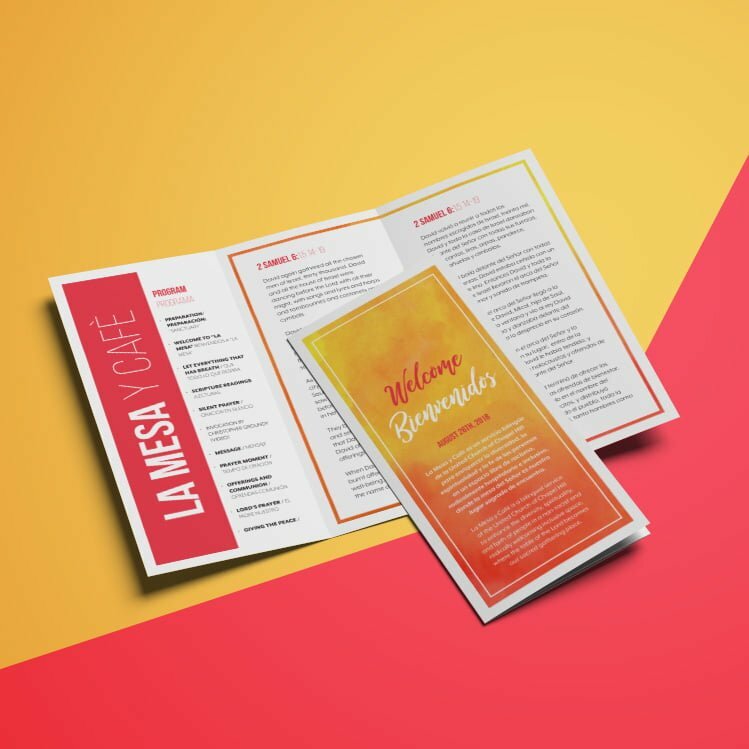 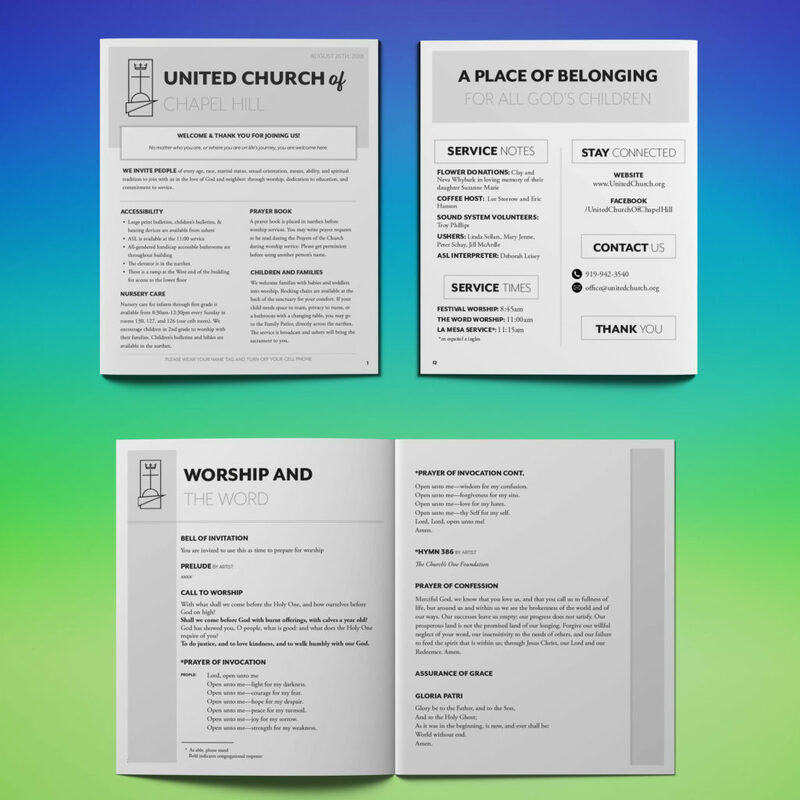 religious organization book, campaign, and bulletin design. 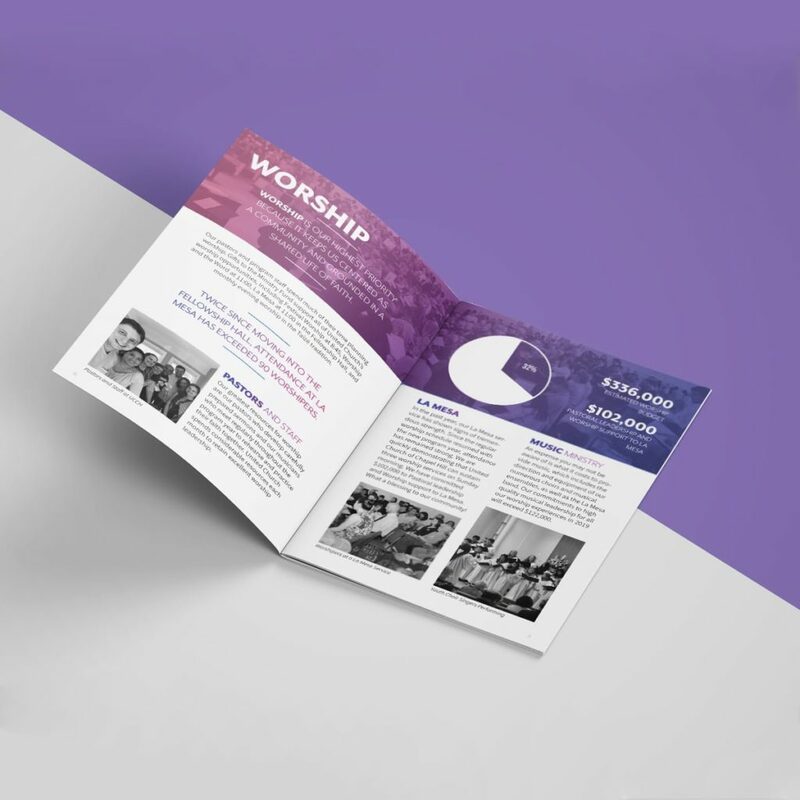 Our services included book design, stewardship campaign design, bulletin design, banners, and annual report design. 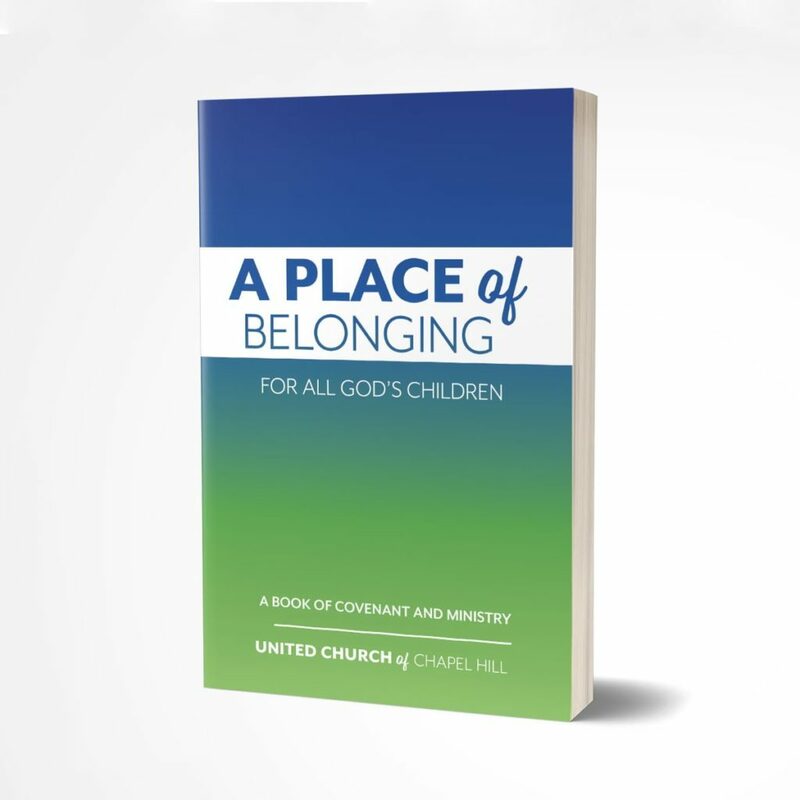 United Church of Chapel Hill in North Carolina is an “Open and Affirming” Church, and celebrates all people regardless of sexual orientation, gender, race, age, or religious background. 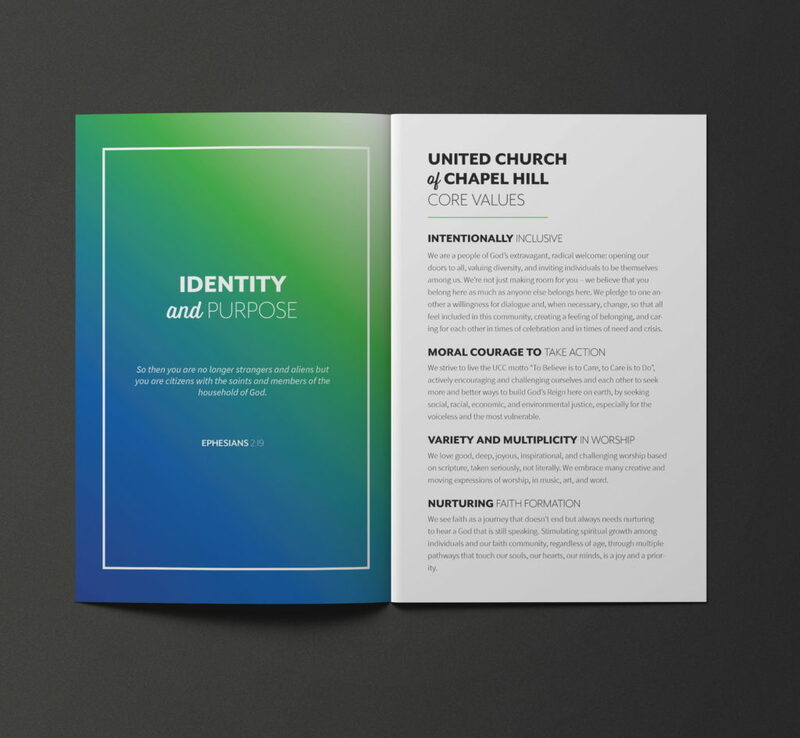 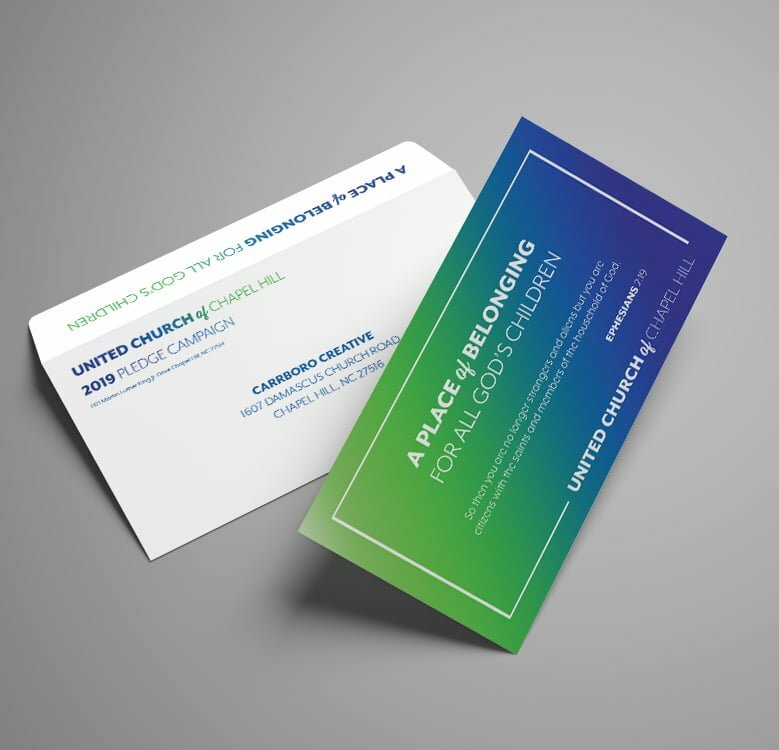 Following the retirement of their longtime Senior Pastors, United Church decided to refresh their brand and collateral.